View our Silent Auction items by clicking here! 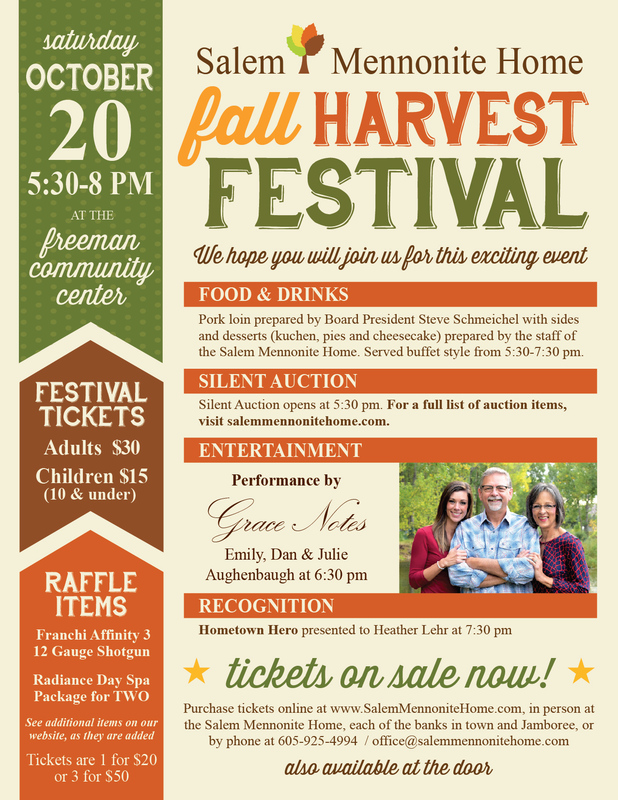 The Salem Mennonite Home will be hosting the 2nd Annual Fall Harvest Festival on October 20, 2018 at the Freeman Community Center from 5:30 to 8:00 pm. View the festival poster here! Purchase your tickets here for the festival & raffle! Franchi Affinity 3 12 Gauge Shotgun. Need not be present to win. Radiance Day Spa Package for TWO, which includes aromatic steam bath, Sage & Salt Body Glow with Vichy shower, customized 50-minute massage, a Pure Radiance Facial and light spa cuisine. Need not be present to win.